Shop Talk time! 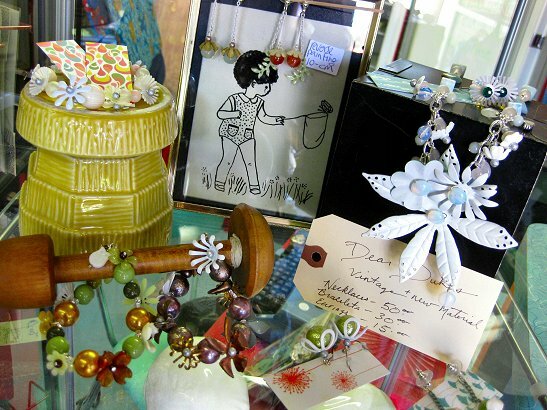 There's a bunch of new pretty summer jewelry - most of it crafted locally. Bonus! 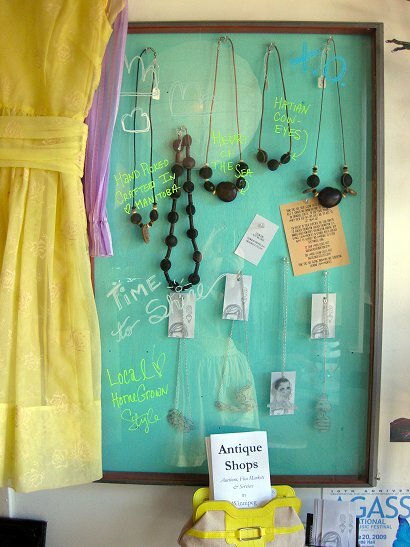 Hand crafted pendants & Necklaces featuring Natural Haitian Sea Hearts and Cow's Eyes by Wade Munro. 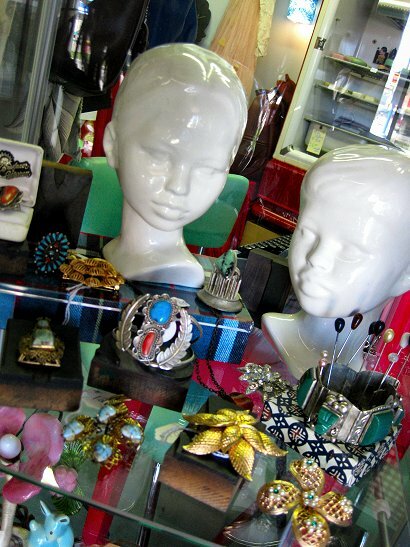 Reconstructed Vintage Necklaces, Bracelets and Earrings - Vintage inspired Lune line by Dear Dukes. Quirky and Amazing Hand Sketched pendants (and soon earings too) by Gillian Giggs.